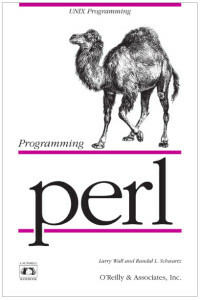 The O’Reilly book, Programming Perl, was released in 1991. It became known as the “Camel Book” among Perl programmers and the camel became the unofficial logo for the Perl programming language. Larry Wall releases version 1.0 of Perl, a general-purpose programming language very commonly used as a Unix scripting language. Perl became very popular on the early world wide web, commonly being used to program CGI scripts for web applications. Perl’s flexibility and adaptability continues to make it a widely used programming language to this day.